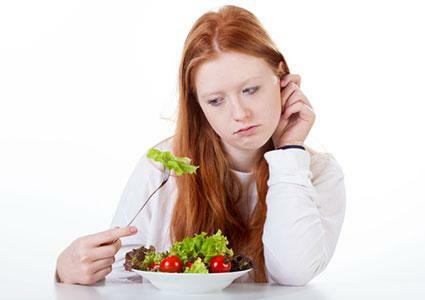 If you're a picky eater who eats unhealthy foods, a healthy diet may seem unattainable. Food preferences often begin in childhood and are hard to change. However, armed with knowledge and a little ingenuity, it's easy to come up with a meal plan to support your weight loss goals. The goal for any eating plan is an arsenal of healthy meals. Picky eaters may be turned off by bland, so-called "health foods." They might gravitate towards "comfort foods" that taste delicious, such as pizza, tacos, omelettes, and fried foods. These foods aren't known for being healthy but with a little tweaking, they can play a role in a healthy diet. This food plan "healthifies" popular comfort foods for picky eaters. It allows you to make substitutions based on your favorite foods and incorporates healthier ingredients you'll hardly notice. According to Nutrition.gov, to lose a pound per week, you first need to determine how many calories you should eat each day to maintain your current weight. Then, subtract 500 calories from that number to figure out how many calories you need for weight loss. Use this guideline as you plan your meals each day. These tasty breakfast recipes are savory enough to be enjoyed at any meal. All nutrition values in the meals below were calculated using the USDA National Nutrient Database. Some ham and cheese omelettes contain almost an entire day's worth of fat, calories, and sodium. This version has 165 calories and 4 grams of fat. It also kicks off your day with around 26g of protein. To make, combine two egg whites, two slices of Canadian bacon (roughly chopped), and 1/4 cup shredded, fat-free cheddar cheese in a non-stick frying pan coated with cooking spray. Cook about four minutes or until the egg turns from liquid to solid; fold over one side of the omelette and press gently. Cook about one minute more. You can get creative with this omelette. Add 1/8 cup of your favorite chopped vegetables or try Swiss cheese instead of cheddar. Substitute a slice or two of turkey bacon for the Canadian bacon. If you prefer something sweet for breakfast, try a breakfast sundae. This one has about 298 calories and 5 grams of fat (if you use about 1 tablespoon of chopped almonds). Layer one cup of fat-free vanilla yogurt with 1/2 cup fresh blueberries and 1/2 cup halved strawberries in a parfait glass. Dust each layer with chopped almonds. Substitute your favorite fruits for the blueberries or strawberries. If you don't like vanilla yogurt, use your favorite flavor. If you don't like nuts, sprinkle each layer with granola instead. Lunch doesn't have to be the same boring thing day after day. Try these lunch ideas and change them up with your favorite ingredients. This pizza is crispy, cheesy, and satisfying yet comes in at only 210 calories and around 6 grams of fat. Split a whole wheat pita into two rounds and place it on a baking sheet; spray each round lightly with olive oil cooking spray. Top each round with 1/3 cup part-skim mozzarella cheese and four Roma (plum) tomato slices; sprinkle with 1/8 teaspoon Italian seasoning. Bake the pizzas for 15 minutes at 400 degrees or until the cheese is melted, and the crust is golden brown. If you don't like tomatoes, try chopped green peppers or mushrooms. If you love pepperoni, add a few slices of low-fat turkey pepperoni. Store-bought and most homemade chicken salads get their creamy texture from high-fat mayonnaise. However, you won't know the difference when you taste this lightened-up version, which gets it flavor from tangy Greek yogurt. Each 1/3 cup serving has around 200 calories and 2 grams of fat. To make, put 1/2 cup of plain, low-fat Greek yogurt and one can of drained, chunk chicken breast in a medium bowl; combine well. Add 1/2 cup of chopped celery, 2 tablespoons of sweet pickle relish, 1 tablespoon of honey, and a dash of pepper and salt. Mix well and serve on a bed of lettuce or place in a butter lettuce leaf and eat taco-style. If you don't like celery, add grapes instead. If you enjoy nuts, stir in a couple tablespoons of chopped walnuts. These healthy dinners will help keep your eating plan on track. Using ground turkey instead of beef and fat-free toppings cuts fat and calories in these tacos. Two tacos are around 400 calories and 8 grams of fat (assuming 1/4 cup of cheese, and four ounces of meat mixture per two tacos). The recipe makes about four servings. To make, brown one pound of extra-lean ground turkey in a non-stick skillet. Add one packet of low-sodium taco seasoning mix and 1/2 cup of water. Bring to a boil and simmer for five minutes. Warm eight whole wheat tortillas in the oven. Make each taco by placing chopped lettuce down the center of a warmed tortilla; top with the meat mixture, chopped tomato, fat-free cheddar cheese, and a spritz of lime juice. Roll up the tortilla. These tacos are also delicious with diced avocado, salsa, or corn. You could even spread a thin layer of fat-free, refried beans on the tortilla before adding toppings. Alternatively, enjoy your refried beans on the side sprinkled with a tablespoon of fat-free cheese. Many picky eaters love fried chicken. Eating too much, however, will derail your diet. Instead, make this baked chicken fingers recipe adapted from The Skinny Kitchen. Each serving of three chicken fingers has about 270 calories and 1 gram of fat. To make, line a baking pan with foil and coat the foil with cooking spray; mix 3/4 cup of cornflake crumbs, 1 teaspoon of paprika, 1 teaspoon of garlic or onion powder, and 1/2 teaspoon of salt. Cut one pound of chicken tenders into 12 equal pieces; dip each chicken piece into plain greek yogurt and coat with the cornflake mixture. Place each piece of chicken on the prepared baking sheet and bake in a preheated 350 degree oven for about 15 minutes or until crisp and cooked through, turning the chicken halfway through cooking. Serve chicken with your favorite steamed vegetable or a green salad with fat-free dressing. Healthy snacks are a part of any healthy eating plan. Skip them, and you might binge on whatever unhealthy food is nearby. Eat a couple of these snacks a day to help keep hunger pains at bay. Being picky about the foods you eat doesn't mean you have to sacrifice taste and health. There are many simple ideas that make your favorite foods healthier, such as substituting low-fat or fat-free ingredients for full-fat, switching to whole wheat breads and pastas, using Greek yogurt in place of mayonnaise, and using lean ground turkey or chicken instead of beef. Make a list of your favorite foods and explore how to make them healthier or incorporate them into the recipes above.